For clothing protection and worker safety, ems offers disposable coveralls for remediation and abatement projects. 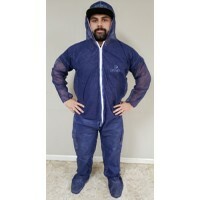 These coveralls offer protection against dirt, grime and dust and are designed for superb airflow to keep workers cool. Offered in a wide range of sizes that include attached hood, booties, and elastic wrist & ankle protection.